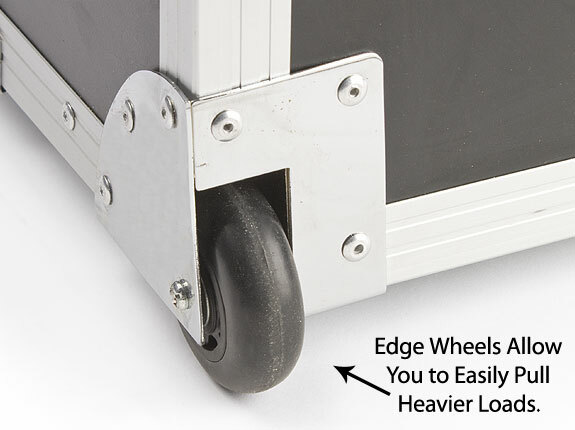 Locking wheels make transport easy yet also safe. 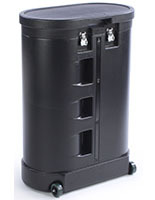 47-1/2" container holds a large quantity of presentational accessories. 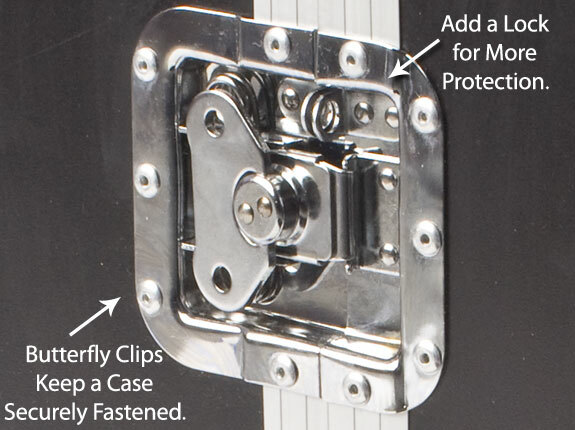 Butterfly latches keep a case securely closed during travel. 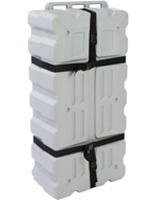 Polystyrene foam provides additional protection for your stored equipment. 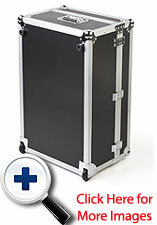 Shipping cases with wheels are meant for transporting trade show accessories or supplies to and from an event. 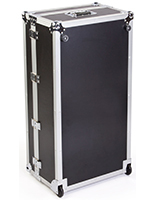 This equipment container, hard carrying case is made from 3/8" plywood and features black, fireproof ABS paneling for added durability. 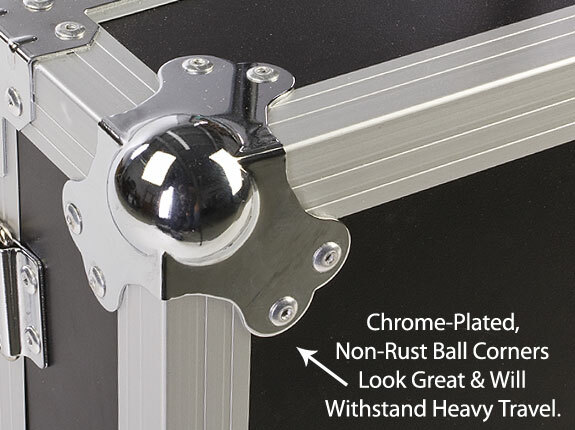 Although not ATA regulated, the hard carrying cases, such as shipping cases with wheels, are equipped with chrome-plated, rust-resistant ball corners as well as two heavy-duty, chrome-plated handles. 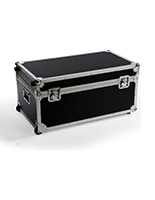 We also provide the hard carrying case with two butterfly latches to keep your case securely closed during travel. 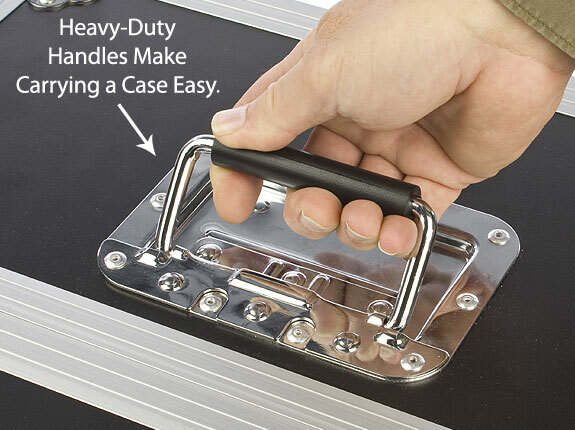 There are even rings through which you can attach a lock or security strap. 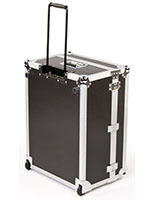 This shipping case with wheels includes lockable wheels, making it incredibly easy to move, regardless of its weight. 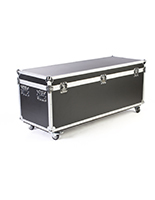 We recommend using the hard carrying case to keep all of your presentational accessories together when traveling in-between venues. 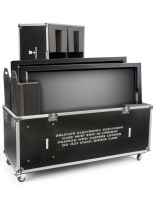 The portable case, shipping case with wheels measures 47.5" long, providing users with a great amount of space for the storage of high-end products, such as a projector or banner stand. 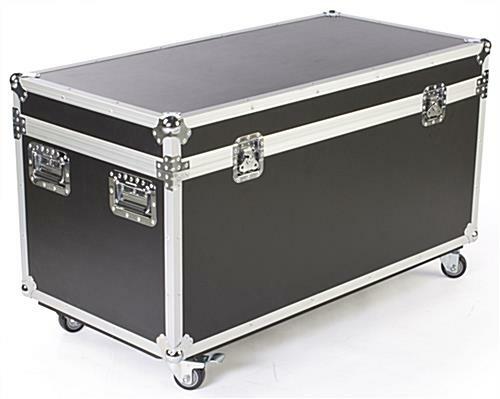 Hard carrying cases, such as shipping cases with wheels, are therefore ideally meant for those who travel frequently and require a large amount of accessories during an event. 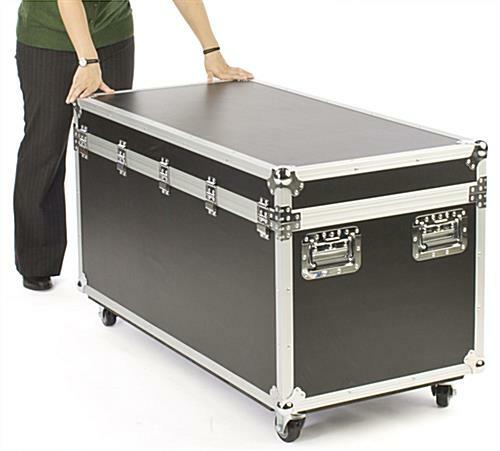 By using one large-size, hard carrying case, you can be sure all of your equipment will remain together, undamaged and ready for use! 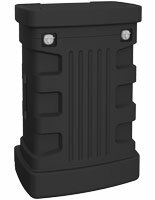 47.5" x 27.5" x 23.5"
40.0" x 20.0" x 17.0"